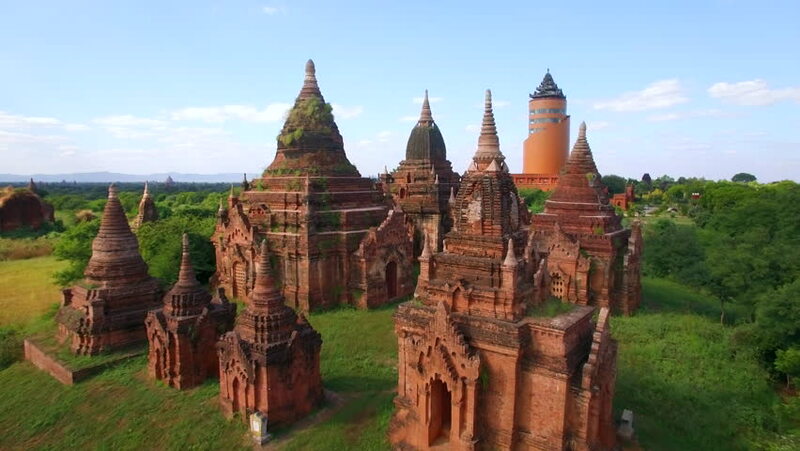 Bagan, Myanmar (Burma), aerial view of ancient temples, pagodas and Nann Myint tower, daytime. hd00:15Timelapse view of temples in the Bagan Historical district, the largest concentration of Buddhist temples in the world. hd00:13The dog walking in greensward front of old Temple wat Chaiwatthanaram of Ayutthaya Province. 4k00:27WAT THUM SUA- Octoberber 22, 2016: Wat Thum Sua is the most famous temple in Thailand.4k drone aerial footage.